Mr. Castillo has a background in international trade relations, leadership, business developed, operations and workflow automation. His experience includes working and leading energy, finance, construction, healthcare and recognized technology companies. Most recent, Mr. Castillo was Director of Business Development for an ENR top Heavy Civil Contractor with projects throughout the US and Canada which generate annual revenues over 1 billion dollars. Additionally, he brings over 20 years experience in International business which includes being procurement director for Mexican Company SUGETOSA located in Toluca, Mexico specializing in product procurement and fulfillment for the Mexican Government from 2002 through 2010. 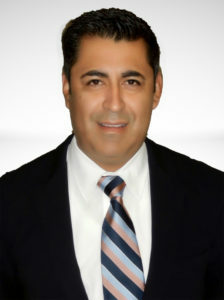 Mr. Castillo has a working background assisting small, med and large projects with funding and capital requirements. His relationships include traditional Banks, Angel Investors, Venture Capitalists, Personal Investors, and Private Funds within the United States and Mexico. Mr. Castillo has developed efficient and productive international business systems which include networks of multi-national and multi-disciplined teams. His efforts have grown USA-Mexico-Latin America and Asian and South Pacific government and business relationships. Mr. Castillo earned his Bachelor of Science from the prestigious U.C. Irvine School of Engineering and is fluent in Spanish and English.